At Professional Movers.com, we are the Michigan residential moving company who takes the hassle out of the moving process. Residential Michigan moving services are the core business of Professional Movers.com Since 1978 we have time-tested, developed and perfected the most organized, stress-free, and affordable residential relocation services for our customers. We understand that planning a residential move for you or your family can be a complicated and daunting process. We realize that you don’t have to be moving across the country for your relocation to be stressful. Moving next door or to another state requires the same planning, experience, and dependable service. As your Michigan residential moving company, Professional Movers.com will be with you the whole way – from the time of your estimate until the last piece of furniture is placed exactly where you like it. We recognize that the key ingredient to a successful residential move is the actual movers who provide the service. The movers you hire and trust to relocate your most valuable items must be skilled in both moving and customer service. We consider residential moving to be just as much a skilled-trade as the plumbing, electrical, or carpentry trades. That is why Professional Movers.com only hires and provides qualified, friendly, intelligent, and experienced movers. We treat our movers with respect and compassion and expect that they will extend the same courtesy to you. All of our moving teams consist of full-time movers who are paid well, treated well and trained well. We do not hire temporary labor or unskilled day labor in order to save labor costs. Making sure that we provide you with competent and commendable movers is something we take very seriously. Therefore, when you hire us to perform your residential move you can rest assured that your movers are adept at using good moving techniques and problem solving skills. At Professional Movers.com, we are not just a Michigan moving company — we are a customer service company that moves. In fact, 2008 was a big year for us, not only did we celebrate 30 years of being in business; Andrew Androff, our Director of Sales, was locally recognized in CORP! Magazine’s June Issue for being a Customer Service Hero. As customers, we all like it when we are professionally cared for and the promises that are made during an estimate or prior to a move are delivered. Yet outstanding customer service, even “adequate” customer service can still be elusive. At Professional Movers.com our movers make it their mission to serve our customers in “heroic” proportion. We realize that that every move is unique and its success is critical to you and your family. If you hire us, we will make certain that every detail is meticulously considered and flawlessly executed. Every residential move is unique and each customers needs are different. That’s why with each move a personalized solution is devised. The best way to determine your residential Michigan moving cost is to have a Professional Movers.com certified moving consultant visit your home and provide you with a free residential moving estimate. Whether you need us to stop by during the day, in the evening, or on the weekend, we will schedule an appointment based on your availability. We know you’re busy and we value your time. When we visit, we will listen to your concerns and questions, explain your options, and develop the best pre-move plan for the most cost effective relocation. We will walk through your home to help identify a complete list of items that you would like moved. Based on that list, we can determine how many movers you will need, what size moving truck, and how much your entire residential move will cost. We can even help assist you in determining what type of boxes we would recommend to pack your fragile items or how many boxes you might need to pack your entire home. Our representatives are trained to think of all the money saving possibilities regarding your move. We will even provide you with a moving guide and labels that will help you prepare your home for your move day. At the end of our visit, our certified moving consultant will provide you with your customized moving quote. It will be typed and printed for you at your kitchen table, or if you prefer we can e-mail it directly to you. Your moving quote will be in easy-to-understand and in lay-men’s terms. It will include a complete list all of the items you would like moved along with the total cost of all of the services you requested. Simple…..Straight Forward…. with Absolutely No Hidden Costs. That’s a Guarantee! At Professional Movers.com all of our sales representatives have received the nationally accredited Certified Moving Consultant or “CMC” certificate. The “CMC” credential has come to represent a fundamental competency and adherence to ethical conduct of the sales force for the Household Goods Moving & Storage Industry. To receive the “CMC” credential each of our sales members had to enroll in the “CMC” program and receive rigorous training from the American Moving and Storage Association. The training was followed by a competency exam and an oath to follow the Code of Ethics and Professional Standards set forth by the American Moving and Storage Association. This means that by electing to work with Professional Movers.com you can be assured that you are working with a knowledgeable sales consultant who is committed to providing excellent and fair service. Our strategy is to take you through a step-by-step process. The phrase “personalized moving experience” takes on its true meaning with Professional Movers.com; the degree to which you want us involved is completely up to you. We can simply inventory your packed items, load them onto the moving truck and unload your belongings at your destination. We also have moving boxes, moving supplies and pre-made kits for your self-pack needs. Using our room-by-room floor plan, our professional movers will place your moving boxes and furniture where you want it. We offer other affordable services such as packing, unpacking, disassembly, reassembly, and storage. Whatever level of involvement you desire from Professional Movers.com is what you will receive. There is no limit to what we can provide you when you choose Professional Movers.com as your Michigan moving company. However intensive or basic your moving needs are, we customize your move to reflect your individual requirements. Many Detroit moving companies allow their movers to wear jeans on job-sites while moving. Jeans often have small rivets along the top of the pants that can scratch the sides of furniture as movers carry pieces up and down staircases. At Professional Movers.com. we leave nothing to chance and do everything we can to minimize any possibility of damaging any items. All of our moving teams are fully-uniformed in outfits that are designed for moving. To keep your items safe while loading and unloading, our movers wear rivet-free pants that have a completely smooth surface. We also provide our movers with logo-ed shirts and hats that make it easy for you to identify your movers. Many Detroit moving companies will just send out movers to a job with little or no accountability. Instead, Professional Movers.com assigns a working supervisor to every residential move. Our working supervisors are the leaders and on-site decision makers provided to help orchestrate a seamless move. Our working supervisors are your main point of contact on moving day. Before they arrive to your home they are already briefed with the details regarding your move. Once they arrive they will greet you and introduce the moving team. They will review the items you want moved and make sure that anything that was promised during the estimate will be completed during the move. For example, if you asked Professional Movers.com to crate an antique clock, the working supervisor will be the one responsible to make sure it happens. Our working supervisors know that every move is unique and sometimes things can change. The working supervisor will work with you to problem solve and keep you stress-free on moving day. No matter the challenge their goal is to exceed you expectations. At Professional Movers.com we maintain a fleet of late model residential Michigan moving trucks that are purely designed to move household items. Our residential moving trucks are not just your standard U-Haul style truck with wood planks on the inside walls that require non-reliable rope to secure your items. Instead, we have reinforced e-tracking that lets our residential moving teams safely secure your items inside the truck using ratchet straps. All of our residential moving trucks are lowered to the ground to reduce the pitch of our moving ramps. This allows our movers a carefully load and unload your items without exerting excess energy that can lead to movers being fatigued from carrying heavy items. We stock (4) various sized ramps in each moving truck that our move teams can place along curbs or front porch steps, this enables our movers to work smarter, safer, and much faster. All of our moving trucks have access doors on both the sides and the rear of the truck. This permits our moving teams to position our trucks in the closest possible load and unload location, helping reduce the overall move time and thus saving you money. Finally, our moving trucks are sanitized and maintained each night to ensure that they are debris-free, trouble-free and ready for your move. We care about your belongings and your home as much as you do. That is why we use superior protective materials to make sure that your items and your home are well protected. Prior to our Michigan moving teams loading or unloading the moving trucks, our teams will place protective materials throughout your home. Your doorways and staircases will be padded with premium padded corner protectors. In addition, our movers will place protective neoprene floor runners in your entryway. All marble, travertine, or special floor surfaces will be covered with builder board. This will keep your doorways and your furniture protected from. Our entire residential moving business has been built on referrals and it shows. We encourage our prospective customers to take time to review our website and read some of our previous customer’s testimonials. Our Michigan moving services come highly recommended by an impressive list of local Michigan families, local celebrity clientele, small start-up businesses, and even fortune 500 organizations. We even have an entire chapter dedicated to our company and our customer friendly moving services in the Customer Service Book, “Who’s Your Gladys?”. We value each and every customer and it is our mission to be the Michigan Moving Company that you recommend to your friends, families, neighbors, and co-workers. It would probably be surprising to most people to learn that in the Michigan Moving Industry, residential moving is considered to be the most difficult of all the moving services. 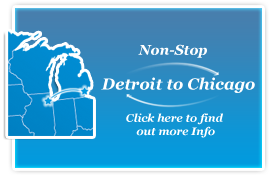 Some of the oldest and largest Detroit moving companies prefer to provide as little in the line of residential moving services as possible, opting instead to do only commercial jobs. They prefer commercial jobs over residential household goods jobs because commercial moves tend to be more of a cookie-cutter type of service and they do not require the moving skills that are necessary to successfully move homeowner’s high-quality household goods without damages. In addition, many office furnishings are usually already nicked, scratched or damaged to some degree, so any further minor damages are usually unimportant or go unnoticed. Therefore these movers mainly just focus on expediting their jobs even if that causes damages. They do not have to protect furniture as carefully so they can use day-laborers and other inexpensive unskilled casual laborers for their commercial jobs. When it comes to residential moving, you should expect to get highly skilled movers who will first and foremost carefully protect all of your valued furnishings and then expedite the job. You do not want unskilled help or casual day laborers doing their job and damaging your fine furniture. At Professional Movers.com you will receive friendly, intelligent, skilled movers.